What a dreadful winter, especially in light of its endless dreariness. While we can easily point our fingers in disdain at Punxatawney Phil, we know he really is just an easy target to blame for our unhappiness. The truth of the matter is, winter was just tenacious. The season of gray skies and forests of brown branches just didn’t want to let go. But this weekend has been simply glorious! Sunny sky, warm temperatures! And trees are blooming EVERYWHERE (sending my regrets to allergy sufferers who are being clobbered!). Spring usually also heralds the beginning of La Vergne’s baseball and softball season. This year we’ve had a bit of a rough start, though. Here’s what I have pieced together from reliable sources (“reliable” being the key word here!). When the former parks & rec director left, the interim director found an agreement signed by the former director. When the city attorney looked at it, he determined according to Tennessee Municipal Code that the contract was not valid because the only people who can sign are either the mayor or city administrator. The board of mayor and aldermen were called together then for an emergency meeting to sign a valid agreement. That agreement had the same requirements that other non-profits provide to the city, including proof of 501(c)3 status – or the documentation that allows people and corporations to claim a charitable contribution on their taxes each year when they file. “All contributions are tax-exempt” must meet specific federal and state criteria to actually be tax-exempt, including an approved 501(c)3 determination by the IRS and must be registered with the state as a charitable organization. These charitable organizations are required to file an annual tax report (like everyone else) and are required to send an annual report to the state as a registered organization. With the state registration, you must annually report the roster of your Board of Directors (I know this from my friends who are part of other non-profit organizations). Unfortunately it was at this point that the city learned the LBSA was not tax-exempt nor was it a registered organization with the state. With the state registration comes the responsibility to meet certain requirements for sales tax revenues from concession stands. For example, according to eHow, “The state Concession stand owners must obtain vendor licensing through the state or with local counties. Food service vendors are required to display their state or county licenses at all times. Additionally, concession stand owners are required to pay business taxes and file tax returns with the Tennessee Department of Revenue and the IRS.” Perhaps no taxes would be owed for LBSA’s concession stand sales, but it comes back to the fact that the organization does not have an approved 501(c)3 status so they are not tax exempt. So where does this leave the city? When the city learned this, it HAD to legally step in – or in this case step away. If the Gloomerati of our town wish to point fingers as they are so prone to do, it would be to fault the city for not learning about this earlier. That LBSA has operated for so many years without being a fully eligible organization should have been discovered earlier. But it was not. However, equally notable is that once it was discovered, the city did take action. If they had not taken action, the city could be culpable in potential future challenges the LBSA may face. This next part is equally important to emphasize. WE HOPE NOT. All of us have had children or have had neighbor’s children or relatives who have played ball with LBSA. It is my opinion that the volunteers with the organization were dedicated workers who love our children and want to see the children of our community flourish. It is a frightening prospect that there could be IRS problems in the future because of the lack of a 501(c)3 designation for LBSA because of the years of outstanding service and dedication to the youth of our city, as well as kids from other cities in Tennessee. 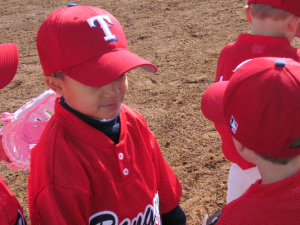 So what’s next for our kids who play ball? While that seems pretty straightforward to me, many people – primarily coaches and some parents – have seemed to relentlessly accuse the city of lying and misleading. The Gloomerati has jumped on the bandwagon, as well, because … well because they apparently welcome any gloom and doom. Like Punxatawney Phil, it is easy to point fingers in disdain at the city workers or the Mayor because they are an easy target to blame for the delayed start of the ball season. When it involves kids, people definitely have strong feelings! It is very clear, though, that they have done everything they can do to legally move forward in a way that won’t leave the future of our ball players in question again. The Board of Mayor and Aldermen are having a special meeting tomorrow (MONDAY, APRIL 8th at 5:30 p.m.) to consider the agreement with the new league. This means that TOMORROW we know after a long, arduous wait who the new league is and when the kids can start playing! The meeting is open to the public, so come on down to City Hall if you want to know first-hand and immediately the answers to the lingering questions. And THANK YOU City of La Vergne for doing the right thing. Photo from city web page.